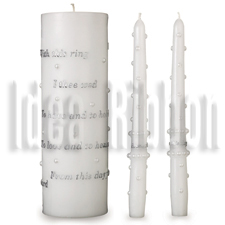 Words of love encircle the candle design. Unity Candle is 9 in. high x 3 in. 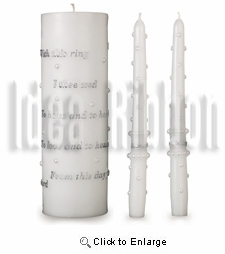 diameter; Taper Candles are 10 in. high.